Greene ordered the North Carolina militia to fire two volleys and then fall back. Cornwallis took the bait. His men advanced on Greene’s first line after a thirty-minute artillery barrage by both sides. The British broke through but suffered severe casualties in the advance. One American noted that, after his regiment fired a volley, the British “appeared like the stalks of wheat after the harvest man passed over them with his cradle.” Despite their losses, Cornwallis’s army continued to push against the americans. 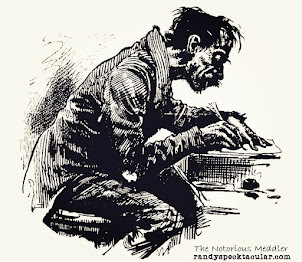 Unwilling to the risk the destruction of his army, and realizing that he had inflicted massive casualties on the British, Greene withdrew his army to Troublesome Ironworks nearly fifteen miles away. The battered British army did not pursue. Some researches have stated that the experienced ironmaker, Captain Frost, worked at Troublesome Ironworks. 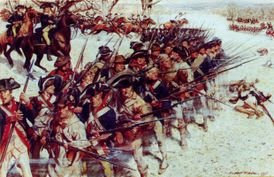 American forces outnumbered British troops almost three to one, and although Cornwallis’s army had held the field, the Americans had punished them severely. One-quarter, or twenty-seven percent, of Cornwallis’s army lay dead or wounded on the battlefield. By comparison, Greene lost only six percent of his force. Cornwallis withdrew to Ramsey's Mill, on the site of the present Lockville Dam, where they encamped for two days caring for the wounded and burying their dead. At Ramsey's Mill, Cornwallis' troops used the rocks of the mill dam to create a bridge over the Deep River, allowing for the army to continue toward Cross Creek. Then, they destroyed the makeshift bridge so Greene's men could not follow. It was a clever trick and a sly way to excape the Americans and hopefully give his troops time to recover from the Battle of Guildford Courthouse. But, fully recover they did not. Five months later, Cornwallis surrendered his army to George Washington, speeding along American victory in the war. Captain James Frost was born in 1762. He moved from Pennsylvania to North Carolina, where he died in 1808. His son, James Frost, Jr. migrated to Monticello, Kentucky, and was one of Micah Taul's volunteers in the War of 1812. James Jr.'s son, Stuart Corydon "Cord" Frost, fought against the Rebels in the Civil War. His son, Ulysses Simpson 'Grant' Frost, was the father of my grandmother, Vada Frost Boles. Captain James Frost's grandfather, John Frost, migrated to America in the mid 1600's and lived in Morristown, New Jersey. I enjoyed your article. May I inquire as to the historical works you sued in the above? I am trying to do research about Snow Camp North Carolina. According to a pamplet printed in 1971, General Cornwallis and troops spent time after the Guilford Courthouse battle in Snow Camp. 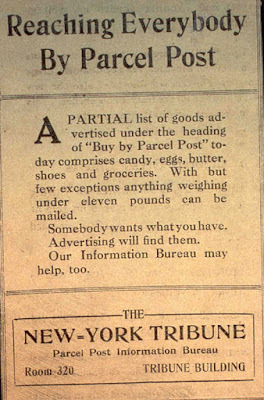 Roughly, March 20, 1781 until March 25th. I was interested in the compliment of troops and artillery he had with him. If you have any ideas where I might look, I would be very appreciative. 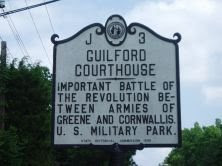 Search Guilford Courthouse online. There is much to read. Try searching Snow Camp, North Carlina. Perhaps you will find what you are looking for. Thanks for the great article and photos. Do you know the name of James Frost Jr's wife and all their children? Did James Jr reside in Chatham Co., NC in 1820? Was one of their children William Robert Frost who moved to Franklin Co. AL and then Itawamba Co. Mississippi? Thank you. Thank you for the information. I just found out that Captain James Frost is my ancestor also. However, other sources state that his birth year was 1742.